Edward John Murphy (b. 6/9/1892), to right of image, overseeing soldiers of the 2nd Battalion RMF in Candahar Barracks, Tidworth, Hants. They are drilling on Maxim Guns. Born in Jersey of Waterford descent. 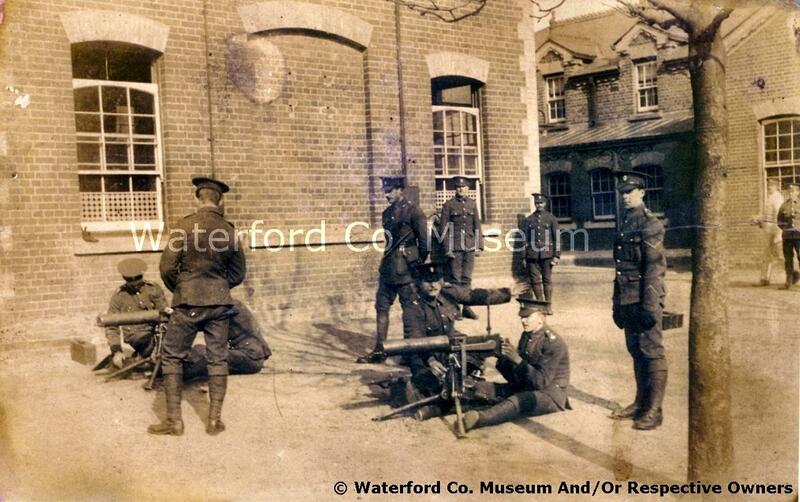 Joined the Royal Munster Fusiliers and served as a machine gun instructor. Fought in WWI and was killed in action 21st March 1918, aged 25 years, in France / Belgium. He also served in Jellalabad Barracks, Tidworth, around the time of the 1911 census.